Gianvito Rossi's 'Portofino' sandals have been hand-finished in Italy from sumptuous black suede. 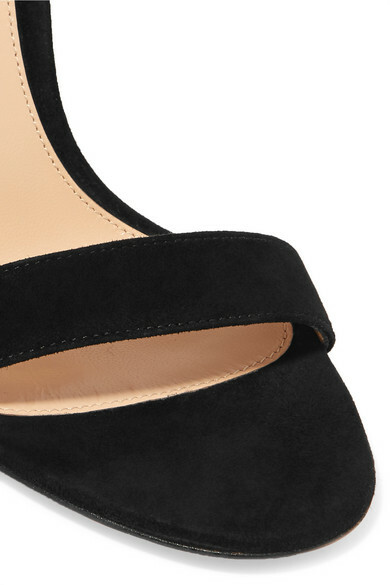 This versatile pair has two slim straps that elegantly frame your ankle and toes and a chic '60s-style round buckle. We'll be wearing ours with everything from dresses to denim. Shown here with: Loewe Dress, Mulberry Shoulder bag, Alighieri Earrings.